Okay! Musume Time: Houkago Princess go Universal and Head to the Front of the Class with a Major Debut and more Announcements! Houkago Princess go Universal and Head to the Front of the Class with a Major Debut and more Announcements! On February 18th 2015, during Odagiri Nana's 25th Birthday Live event, an important announcement was made regarding the group. Finally, after three years and so many member changes, the group will have their Major Debut! 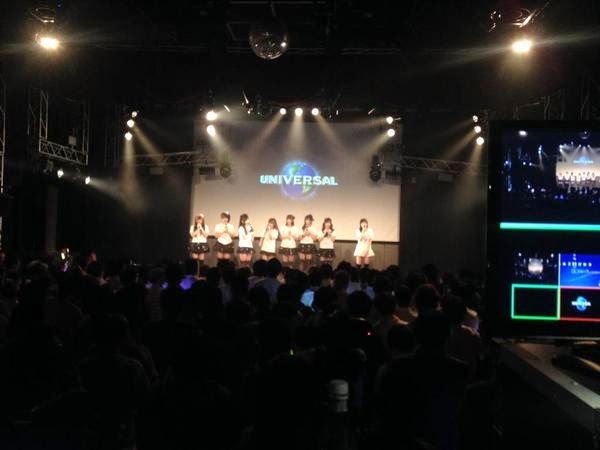 Houkago Princess will make their debut under Universal Music Japan it has been revealed, though the other details concerning their major debut, such as the time they are debuting or what their first major single will be titled, have yet to be revealed. Further announcements were also made during the live that are equally as important, making a few minor changes for the group! One of the announcements made during the live was that Maika will now hold the title of Vice-President within the group, whilst it was also revealed that Himari, the chairman of Usamimi, has been promoted from her Candidate status to a full, Regular member! And for the final announcement, Nagasawa Marina, formerly a Candidate of the 5th generation, has made her return to the group as an Apprentice member once again! She has also revealed through her blog that she is currently the first member of the groups new Apprentice-based unit, [放プリユース] Houpriyūsu! I cried. I cried so much. I am so overwhelmed with happiness right now, and I can't believe that this is happening. Finally, my babies are debuting. This is what I had hoped and wished for last year, back in 2014, when I thought that they had a chance for a Major Debut. It didn't happen, so this year, whilst I had my hopes up for other things to happen regarding the girls, I didn't actually expect a Major Debut to come along, because honestly? I am happy with the group being indies, so one more year of their indies era wouldn't matter to me, but finally seeing that they are having their chance at a Major Debut, I am beyond happy. Finally, the group I love and adore so much, they're finally going to be under a label where they may become even more accessible than before! Now more and more people from around Japan and the world can learn about HouPri and their charm. I'm sure I will miss their indies period, because that was a big part of their career for a long time, through the good and the bad times, but I know I will love them in their Major era as well. Seeing these announcements, that they are going under a major label, that Himari has been promoted, Maika is now Vice-President and, finally, that Marina has returned, it has all made me so happy as a fan! I am so glad that I found this group and that they bring me so much happiness and love and make my heart feel overwhelmed when I hear their songs or look at their updates. I feel so blessed right now as a fan, and even though I'm a bit put-out that Sahochi has yet to be promoted to the Regular lineup, everything else has made me feel well and truly blessed. Houkago Princess, my beloved Idol group, my #1 of all groups, are finally taking their step forward towards their major debut, with one of the best lineups they have ever had. I feel so damn lucky right now. 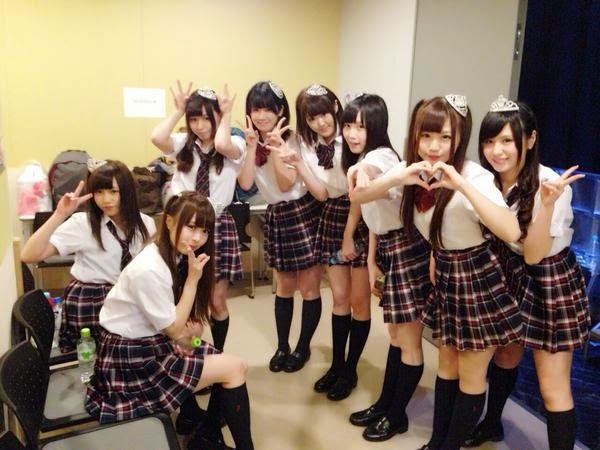 So many good announcements have been made for 2015 already, what with READY TO KISS and YumeAdo making their own Major Debut's this year, and I can safely say that as a fan of Indies Idols and Idols in general, I feel so positive and giddy about what the rest of 2015 has to bring me. It's a year of change, not only for indies groups going major, but even the big companies, too. Truly, I feel like the happiest fan alive right now. I am now sitting on Cloud 9. Oh my gooosssshhhhh! Yayyyy!!! I know I'm nowhere near as big of a HouPri fan as you, but I've always enjoyed seeing things from them every now and then, and I'm really excited about this! And READY TO KISS is getting a major debut, too? Wow, that's just great! But now that they're on a major label they'll have many more opportunities to impress me. :) Major label debuts normally lead to higher quality songs and videos too, so I'm looking forward to that. IDK how YumeAdo's going to top their own work on a major label though... their songs were already so good (and so successful on Oricon) that I had know idea they were indy until they made the major label announcement. It's like killing two birds with one stone, right!? We get double for one, MUAHAHAHA!!! 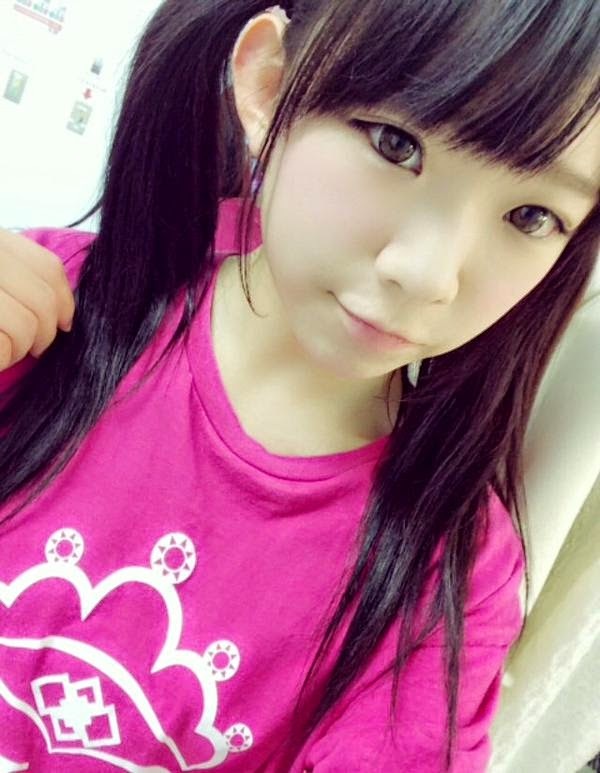 All of the fans of Chiba/Hitomi will be happy, and then there's HouPri nuts like me, who look forward to the debut! No matter though, I am happy for both groups - it's a dream come true. I am actually hoping their videos get better. I mean, even indies, you could see the progress with HouPri - their locations got nicer each time. For crying out loud, they started off in a gym, and have progressed slowly to prettier settings. So, I hope for more and more improvement further on with Universal! YumeAdo will be difficult, I agree - they were very much about quality before, and yeah, I didn't know they were indies until their major debut was announced! It's surprising, because they are professional and so... well, good! For indies, they are the cream of the crop. Super special awesome and congrats to HouPri! I've been meaning to make another attempt at expanding my horizons and after listening to your podcast (*hugs*), I've been getting a little interested. Whoa, I knew RTK was going to have a major debut, but I had no idea it was finally happening with HouPri. Thanks for the scoop! That is so awesome! My biggest worry about this group has always been member turnover (and their skirts not being short enough, but just kidding about that). I think being signed to a major label helps with lineup stability (although it's been pretty stable for a while, outside of Nene graduating). I really hope Universal treats them right.